History, culture, scenery and beauty is what you will find inside the walls of the Kalemegdan Fortress. 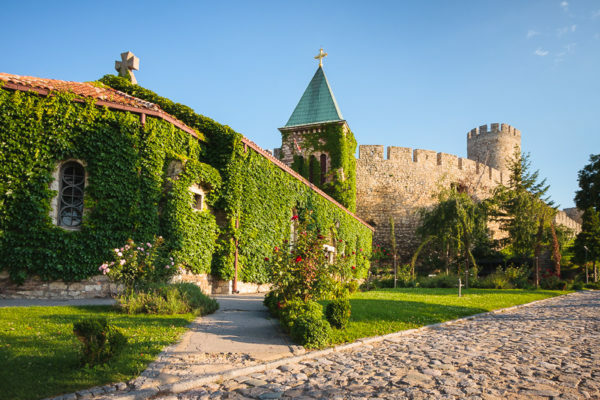 If you are looking for things to do and what to see when you are visiting Belgrade then the Kalemegdan Fortress is a must. 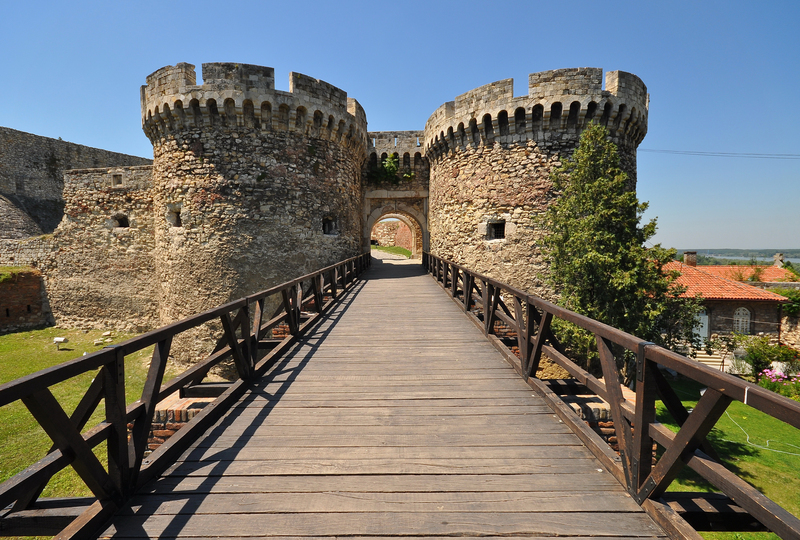 This Fortress is one of Belgrade’s top attractions. It is located in the city center, across from Knez Mihailova (main pedestrian zone). This is the biggest park in Belgrade and is the perfect place to take in the views of where the Sava and Danube rivers meet. It was build in the 1st century as a palisade with earth walls around her, and developed over the years into the Roman stronghold ( 2nd century), than into the Byzantine kastel (6th and 7th century). After that, becomes medieval Capital of Serbia (13th and 15th century), and finally an Austrian / Ottoman artillery fortification (17th and 18th century). Kalemegdan Fortress makes a unique cultural and historical complex within Kalemegdan park. 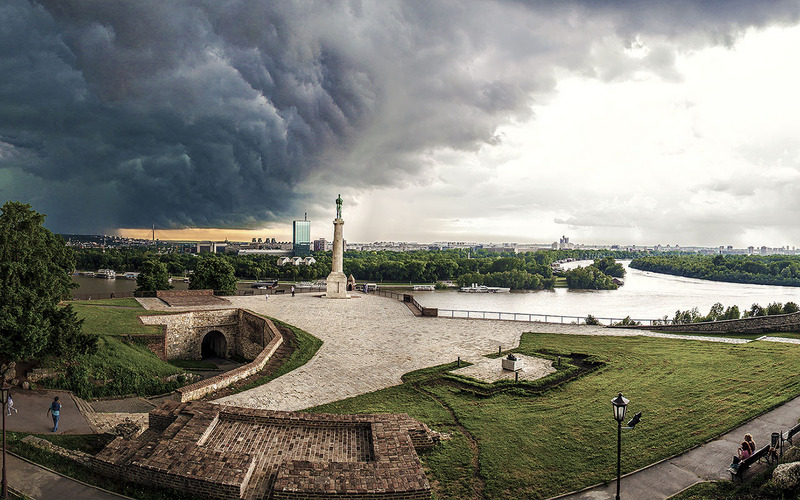 Kalemegdan park is divided in two areas, lower and upper Kalemegdan. In the upper part of Kalelegdan Fortress you will find a symbol of our capital – the Victor monument. Bronze, male figure of 14 meters, stands and looks across the river. Statue was made in 1913. by our famous sculptor Ivan Mestrovic. Also, in one of the towers at Kalemegdan fortress you can find Astronomical Society “Rudjer Boskovic”. Founded in 1934 by a group of students, the Society had only several members, but today it gathers more than 700 astronomy lovers. Astronomical Society also practices amateur astronomy observations. The Belgrade Planetarium is located in a former Turkish bath, in the lower part of Kalemegdan Fortress, since 1970. Many mysteries, legends and facts are written in the walls of this remarkable place, and some of the biggest are definitely about Nebojsa tower and Roman well. Nebojsa tower is the only surviving mediaeval tower of the Belgrade Fortress. The name, Nebojsa, means fearless in Serbian. Tower was built in the early 15th century, during the reign of despot Stefan Lazarevic. It was build as a part of the defense system which was protecting Belgrade from the Ottoman invasion after the Siege of Belgrade in 1456. The well was built in the period from 1717 to 1731, during the Austrian Baroque reconstruction of the fortress. This building is designated and called “The Large Well”. Name “Roman well” was first recorded in the nineteenth century, and was based on folk tales about all old buildings, whose origins are forgotten, often were attributed to the Romans. Also, at Kalemegdan Fortress you will find Military museum. This museum is the most accurate witness of changes in history at this part of Balkans and wider. The museum has over 3,000 ancient and modern items which include everything from Roman swords and helmets to items of modern war history. There are also two churches inside the fortress – Ruzica Church, and the Chapel of Sveta Petka which you can visit, just make sure you are dressed appropriately to enter the churches. There is also the Military Museum, Pobednik monument which is the most famous monument in Belgrade stands at 14 meters looking over the city as well as the Belgrade Zoo. Whether you just want to take a leisurely walk, go for jog, sit on a park bench and watch people go by, lay under a tree and read a book, just take in the fresh air, and enjoy in park land Kalemegdan, the perfect place for relaxing. It is visited by thousands of tourists every year, and is open all day and night all year round.